THE DARKER SIDE: Is Anwar Now Shivering In Fear? Pak Sheikh, Tun dah balik masuk UMNO. Turn hang takda la noo! 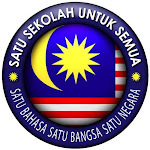 The result of general election in 2004 indicated that the fate of KeAdilan was well written on the wall. 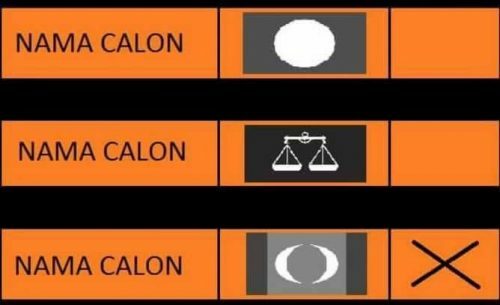 The party only managed to MARGINALLY win ONLY one seat at their stronghold, Permatang Pauh. 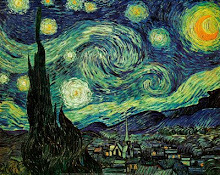 Thus it should have been the beginning of natural death process. However luck has struck. Dollah's weak government for the past four years somehow resurrected Anwar's political career. 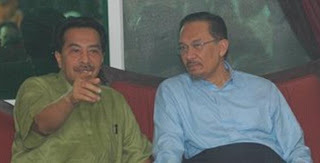 Many major decisions made by Dollah like increased petrol price and ridiculing Tun went to Anwar's favour. 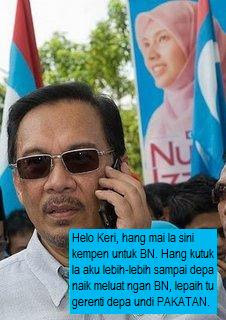 “I have instructed the Pakatan machinery not to respond to issues raised by him (Dr Mahathir). We don’t have to answer. Just leave it as what apa nama (“what’s that” — a phrase Dr Mahathir usually uses when he is trying to recall something) said,” Anwar Ibrahim. Anwar's fear is also well written on PAKATAN's banner at Bukit Selambau, as reported by Tuan Lawyer. Sapa kata aku takut? Aku cuma ketaq lutut! My two cents worth of opinion, to ensure PAKATAN's win, Anwar must get Khairy to campaign for the BN. Let Khairy come with his famous tag line Semangat Setiakawan. Give Khairy the opportunity to extend his Setiakawan Brand beyond UMNO youth circle, and no doubt he will be slaughtered. Allow Khairy to play racial card once again. Guaranteed, a sure win. But Khairy is now quarantined because The Powerful Brand is full of contamination. So Khairy's factor that always gave advantage to PAKATAN is no longer available. Plus the return of Tun to this action-packed thriller, I guess ANWAR IS NOW SHIVERING IN FEAR.